Organizational chart software - create organizational chart! Use it to create Organizational charts; visualize company Organizational chart, hospital Organizational chart, hotel Organizational chart, corporate organizational chart etc. CSOdessa team is happy to provide cost effective Organigram software for companies of any size. 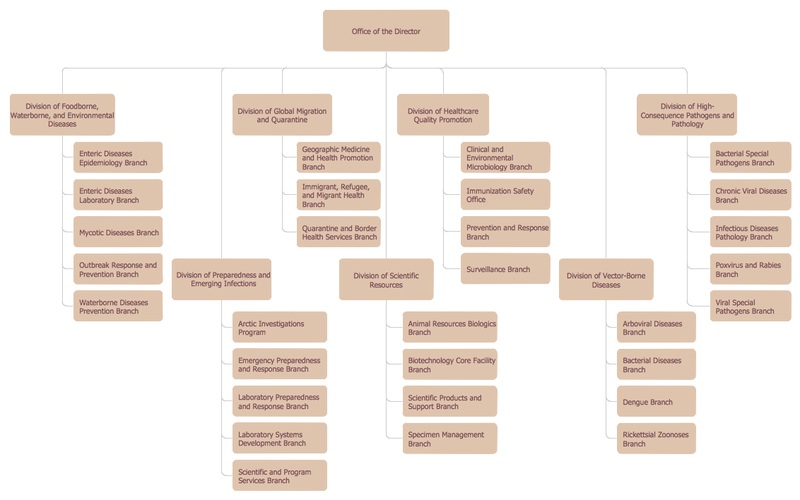 Visualize company structure via Organizational chart. Company Organizational chart with detailed staff information. Specialized Organizational chart creation tools. Single and multi-page Organizational chart with hyperlinks. Extensive Export/Import possibilities (HTML, PDF, Flash, PowerPoint,etc). Possibility to publish Organizational chart and corporate contact information on WEB, your Intranet. No other Organizational chart software gives you all these benefits at such reasonable price! Different standard types of Organizational charts such as Horizontal Org Charts, Flat Org Charts, Inverted Org Charts, Matrix Structure Charts; Flowcharts, Timelines and much more! Helpful business Organizational chart examples, a lot of company Organizational chart samples! Opportunity to use Organizational Chart software ConceptDraw DIAGRAM for free up to 21 days! Free updates! Organizational chart software ConceptDraw DIAGRAM is an ideal tool for Administrative staff to clearly represent the company Organizational structure. 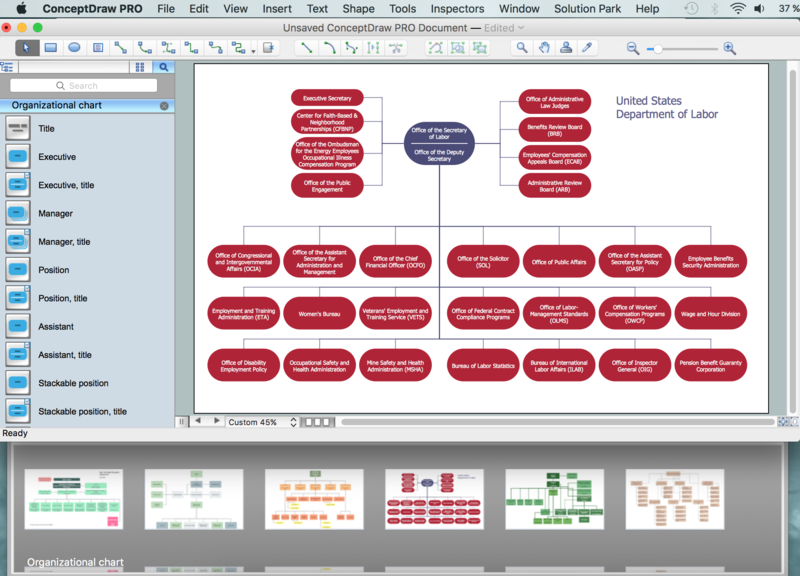 Download free trial of - Organizational chart software - ConceptDraw DIAGRAM. If you have any question how to use Organizational chart software ConceptDraw DIAGRAM please email us.